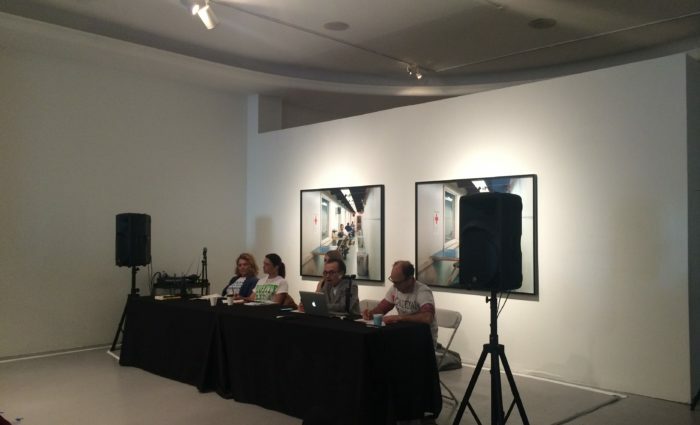 Chats About Change: Critical Conversations on Art and Politics was five conversations addressing contemporary themes that artists and activists are developing in Los Angeles today. 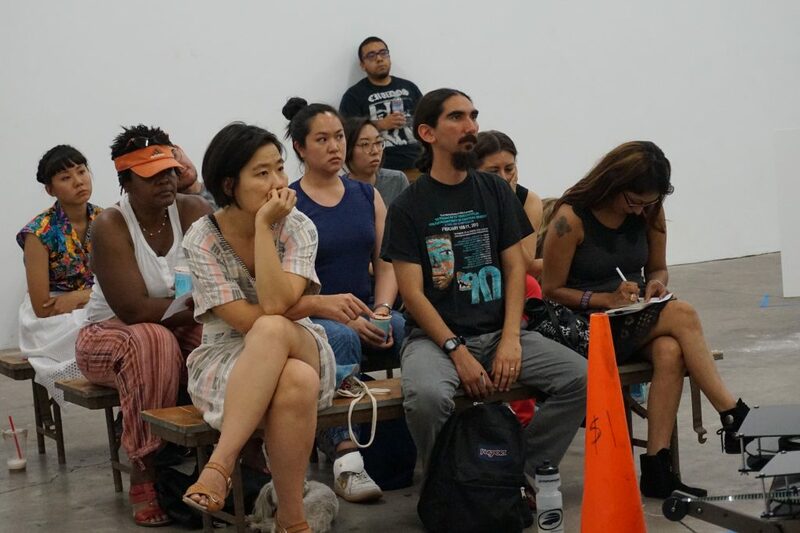 The dialogues critically engaged the topics of; participatory structures in culture, confrontational art practice, the dialectic of the spiritual and the political, interdisciplinary collaboration, and the politics of land use in a session co-organized with Sandra de la Loza. 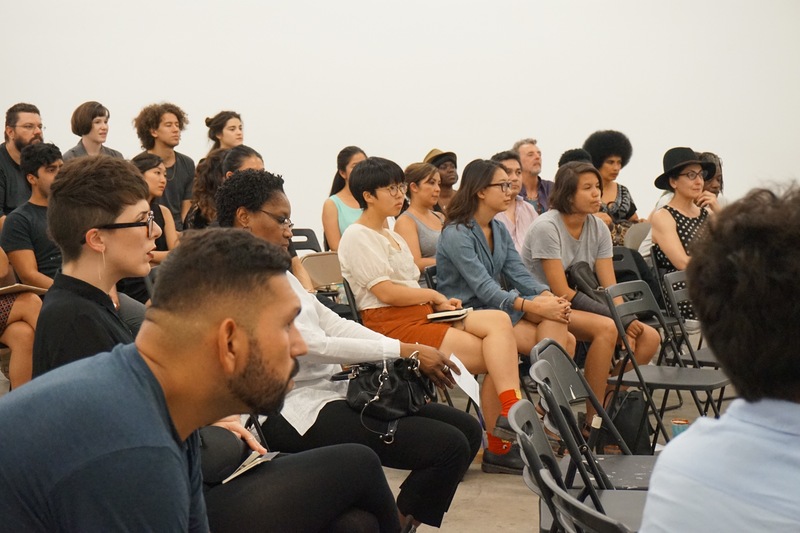 Chats About Change, independently organized by artists Elana Mann and Robby Herbst, represented a grassroots response to the national phenomena of the institutionalization of social practice art within hegemonic institutions. Chats About Change aimed to strengthen local networks of politically oriented artists through a self-organized forum fostering analytical reflection and response. The events took place at California State University Los Angeles, “The people’s university,” on January 15, 2015 and at LACE on January 17, 2015. 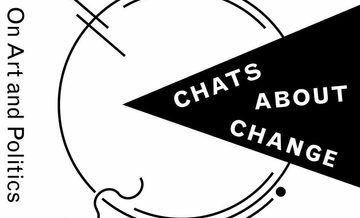 Chats About Change asks questions, wages debates, and supports the community of people seeking experimental ways to affect Southern California and beyond. Chats About Change: Critical Conversations on Art and Politics from LACE on Vimeo. For more information, visit www.chatsaboutchange.org. Chats About Change was made possible in part by the Institute of Museum and Library Services.